It's hard not to imagine Kevin Smith was attempting to do some major fan service by literally killing off Bennifer at the very beginning of Jersey Girl. Though, according to various interviews - and the brisk timeline between the two releases - this was wholly accidental. Either way, Lopez had completely fallen out of favor with audiences thanks to the Gigli disaster when she was once again cast alongside Ben Affleck in Smith's decidedly average rom-com. And so unlike most of the films on this list, there was no attempt to keep her sudden and swift death a secret from moviegoers during the marketing process. Instead, Smith practically tripped over himself announcing that Lopez dies in the first fifteen minutes during a childbirth scene. 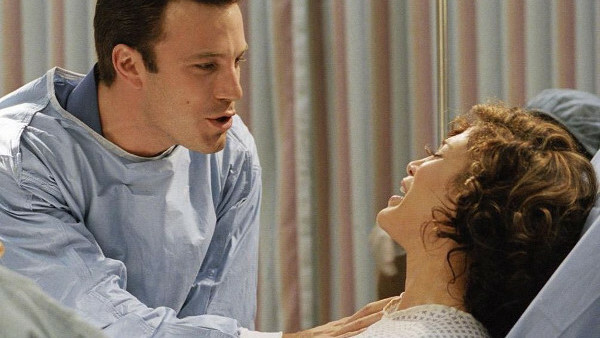 This way, it wasn't sold as another Jen-and-Ben movie, but as a movie starring Ben Affleck that Jennifer Lopez happened to have a small part in. Gigli residue aside, Smith also has a habit of killing off characters when he doesn't know what else to do with them. (See: Agent Brooks in Red State, Dante in the original ending to Clerks.) So maybe this really did have nothing to do with the heat surrounding Bennifer.